Yes the complete set is way cheaper from the US even with our low $$ than buying even Aussie falcon parts here. I was given a set of new XA rotors as the owner had tried them on his 60s mustang and they didn't fit. I checked them against my old rotors and took them to a bearings wholesale company who measured everything and supplied the new bearings. I have put them on the car recently,however the split pin would not fit when the stainless cover went over the nut. They would just fit without this cover/keeper. 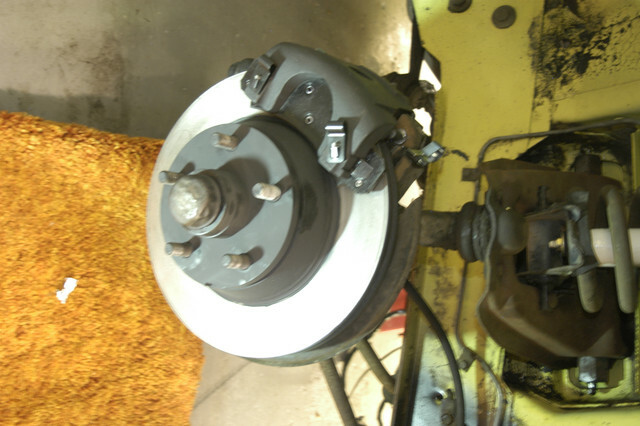 The calipers were a tight squeeze to fit too and I had to rubber mallet them onto the disc so I am a little worried when the rubber grommets/covers are added if they will still fit. I had the nuts machined down slightly so the split pin would fit with the stainless keeper attached. Are the savings from "free" rotors worth taking risks by modifying brake system parts to use them? Risks of damaging your car, or more importantly damaging yourself? 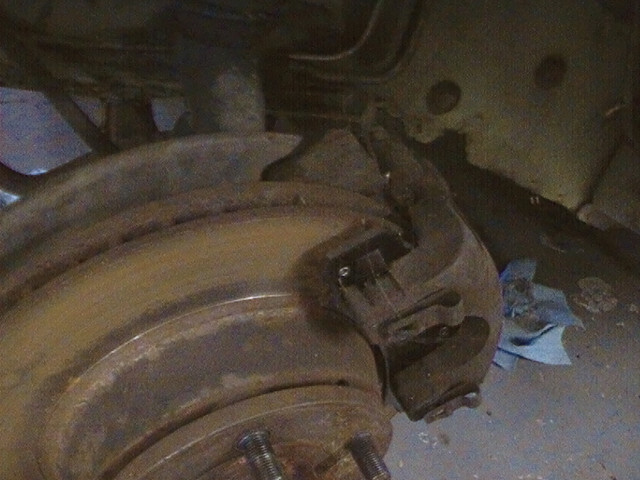 +1 these are brakes we are talking about, IE yours and your passengers lives. Please use the correct parts!! When I got my 73 vert the PO had put new brake pads and shoes on but parked it for 17 years. So I took all apart and rebuilt the calipers and ordered one of the kits that gives you new pins, clips, boots for guide pins, the metal shield and new screws for it. The only issue I had was that they sent metric bolts so I used the old ones. I just ordered off ebay. Parts house had them but like double the cost. Like some have stated I would not alter any of the brake system. Ford did not put anything on a vehicle that did not have a function or need. The would beat us up over pennies on parts as a supplier. Hi guys. As mentioned I took the rotors to a bearing specialist who took all the measurements and they were the same size and took the identical bearings The new Mustang calipers from the USA not the Aussie falcon ones. The calipers do fit but are tight due to new pads. And I've ordered the new kit from the US as well. If the calipers won't fit with the new rubber boots kit it will be new rotors.